How much fun was that game last night? Not the first 35 minutes obviously but by the end of 120 minutes I couldn’t actually remember how I felt when Reading’s 4th goal had hit the back of the net. What to say quickly so that you can all carry on chatting? Bullet points it is then ……………. How can we concede 5 goals? What an amazing come-back, although we do like to do that in this cup competition. Why isn’t that desire there for some PL games? Theo Walcott – what an absolute star he was last night, I shall be very upset to see him in another shirt. He’s dangerous, so dangerous. Olivier Giroud – looked comfortable last night as an Arsenal player. The difference between him and Chamakh is that he fills the space that he stands in whereas Chamakh always looks like he wants to be invisible. Arshavin is going to need a month to recover from last night, he worked so hard, I can’t believe he played the whole 90 minutes, he must have been exhausted even before Miguel had to go off injured and from then he had no chance of being subbed. Well done again to the away supporters who were magnificent. 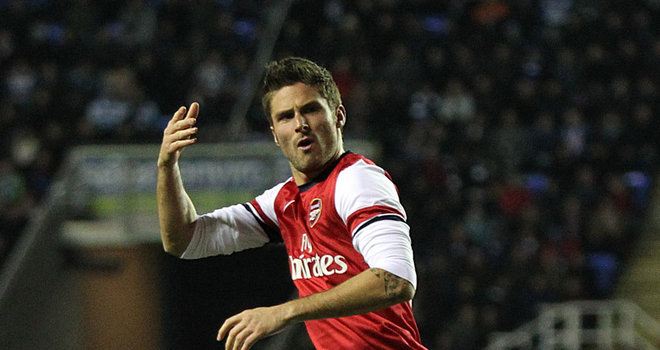 Bringing on Giroud and Eisfeld were important substitutions. Hahaha to McDermott for bringing on a sub in injury time only for time to be added on for us to score the equaliser. Any number of players could have scored any number of goals once we got started but why wait until you’re four down to up your game? It was fantastic, a real roller-coaster of a game and we’re in the next round phew. If anyone wants to write some player ratings we can add them on. My expectations for tonight are not great. Away to PL opposition is always difficult with a reserve side, but on the other hand these are the type of games when we really see how our lads perform under pressure. Will Reading prioritise the League Cup (or whatever it is called this season)? Their next two PL games are QPR away and Norwich at home, both games against direct relegation rivals which will surely have an effect upon McDermott’s selections. Reading’s last game was an exciting 3-3 draw with Fulham, scoring in the final minute through Robson-Kanu who had trials at Arsenal (no relation to the great man). The manager, Brian Mcdermott was of course a Gooner – probably still is. In ’84/5 he played 45 games under Don Howe. Sadly, George Graham didn’t appreciate his talents and he fell from grace, but he was at AFC for 7 years. McDermott recently called Arsenal Football Club “world class” which shows he is a keen and astute football man. Another ex-Gunner is Stuart Taylor who also had 7 years at Highbury winning a league title, FA Cup and two League Cup medals – almost all from the bench (like Nasri). He may play tonight. Pogrebyak is a Russia regular and a friend of Arshavin, should he play, he will be a handful for our CB’s. Will Mr Wenger play any of the players returning from injury? If Gibbs is approaching fitness I would give him 45 mins to sharpen up ahead of MU. With Szczesny approaching a return it may be a last hurrah for Mannone but can AW take the risk of an injury? Of course not so Martinez will get another chance to show us why he is considered so promising. Chamakh needs to start if he is to find a club in January (assuming he hasn’t already done so). Either that or Walcott could be given his chance as central striker. Who would you pick? Today’s top man: Sir George Everest (1790- 1866) . An explorer and surveyor who spent much of his life in India. Surveying was extremely important in those days because people had no maps and no real idea of the correlation between places, and without maps people didn’t know where there were. Imagine how grateful the natives must have been when they could say “I live 42 miles North West of Faizabad”. Couldn’t have been done without surveying and the British surveyed the world. Knighted in 1861 there is a mountain named after him. Tough game tonight but one we can win. We are sure to be solid in defence with Martinez given a chance to shine. As Reading are scoring freely and porous in defence we should see an attacking game. It’s a Cup, we need silverware. After a couple of pretty abject team performances recently, most can appreciate the extra zip that Theo brings to our wing/forward play. Against QPR we had a chronic lack of pace down the flanks for most of the game. The result was that we were toothless in the final third and Giroud cut a lone and frustrated figure in the centre of our attack. All that changed the minute Theo came on. Pace is a natural attribute that can be honed but not taught. Its importance on the pitch is never more evident than when it is missing. Pace can be in the legs, in the feet or in the head. Henry had it in all three, Cesc and DB had it in the head and feet and didn’t need it in the legs. With Theo it’s mainly (but not exclusively) in the legs, but still he is a potent weapon in Arsenal’s armoury and a player who defenders know will hurt them if they allow him the space to run at them. It should not be forgotten that he is also one of the best finishers in the squad. I confess to having changed my mind about him over the last 12 months. I recognise that he has improved in certain areas and he is an asset to the team. He’s a player I’d like to keep. He’ll never be a great help defensively but he can be a game changer and those types of player are few and far between. Some on this site will know that I have an annoying habit of being right when it comes to predicting whether a player is leaving or not. This doesn’t make me clever, just heartlessly cynical as in the majority of cases we have desperately wanted the player to stay. My reasoning is simple and it involves observation of body language, analysing individual performance in relation to team performance and assessing their worth to us as a player compared to their monetary value and our ability to replace them. Add to that the imminent expiry of a player’s contract and everything is brought into sharp focus. The one thing I have learned is that almost everything the player says during the period of speculation can be dismissed. Similarly a lot of what club representatives say will be misleading; in fact, believing the opposite will more often bring you closer to the truth because this is the way the transfer game is played. But if you look back, there will be times when amongst all the verbal jousting, the player (and sometimes the club) will indicate their true feelings but it just gets lost in the melee of media speculation. Brave Sir Robin actually told us all he wasn’t staying when interviewed after the last game of the season …. we just didn’t want to hear him. Fast forward this clip to 2 minutes – you don’t have to be a genius to read between the lines. So that brings me back to Theo Walcott, a player who has divided supporters as much as Alex Song – and maybe there is a lesson to be learned from his departure. Theo has said “I want to play for this club (Arsenal) and hopefully something can happen very soon” – hardly a passionate reassurance to supporters. Add to this the statement that he wants to play centrally and the inference that this forms part of his conditions to sign a new contract. All of a sudden his words take on a different meaning. Everyone in the business knows you cannot dictate where you will be played to a manager and certainly not to one of the best and most respected in the business. I can only view this as a ploy to justify Theo’s decision should he leave. My belief that Theo is on his way has been growing steadily and recent events have only reinforced that opinion. If Theo does not sign by January, we will sell him if a deal can be done or worse, he’ll leave on a free in the summer. We know we are prepared to sell a player to a rival; the only criterion is getting the best price possible. He could have gone last summer but it appears that no club tabled a sensible offer – I wonder why? It seems likely that there are now several interested parties including foreign clubs. This is good news as competition should secure us a transfer fee in excess of £6m. Theo says it’s not about the money. So did Robin. It is … or at least money is the biggest single factor. On the pitch, Theo is doing his best to impress. His tally of 4 goals and one assist so far this season is very good considering the minutes he’s spent on the pitch. As it stands, he is on course to outstrip his stats for last season and that level of performance will attract interest from other clubs. Theo has watched teammates like Clichy, Na$ri and Cesc leave and achieve trophies and greater financial reward elsewhere. Another factor is that we now have The Ox – the new young face of Arsenal’s and England’s future. He’s already on the front cover of FiFA 13 and is fast replacing Theo as a marketing asset to Arsenal. The time when Arsène Wenger allowed himself to feel pressured by a ‘star player’ is over. He dealt ruthlessly with Alex Song. That must have sent out a message to players and their agents and who knows, Sagna may be in for a shock. We are looking at potential replacements and have shown interest in Crystal Palace striker Wilfried Zaha as well as Athletico Madrid’s Adrian Lopez and a several others not being touted on the internet. When in our PL history did we ever re-sign a young first team player in the last year of his contract? I can’t think of a single instance. The evidence is mounting and Theo’s departure seems inevitable. As I’ve already stated, I’d like him to stay. Not because he’s probably going, but because I really think he can gel with the new set up and we can now get the best out of him playing alongside the likes of Cazorla and Wilshere. Is he worth more than £75k a week? Probably not when taking into consideration what fellow first team players currently earn. Could we afford to pay him more than £75k a week? Yes, but we choose not to. The question is academic because it is likely that other interested clubs will offer Theo a higher wage than Arsenal can afford. From what I heard walking away from The Emirates on Saturday, some supporters would prefer he left. Can successive England managers be wrong in preferring Theo to the likes of Aaron Lennon and Adam Johnson? I think not, it seems Theo may be appreciated more by the supporters of other teams than our own. Saturday showed that a player with Theo’s abilities is important to create the supply to the likes of Giroud and last season proved that he can form successful partnerships with other players of high quality. We lose Gervinho for up to 6 weeks to the ACN from January 2013. We have the Ox and Ramsey who can play on the right but they are better suited to other positions. If Theo leaves, it is important we make every attempt to bring in another striker who scores goals, can cross the ball and can play wide right – a tall order. Such players are not easy to find and probably won’t come cheap. All we can hope is that we identify and sign a player who can fill the void quickly. There were more than a few “Phews” at the final whistle yesterday. After two defeats during which we had displayed the cutting edge of a doughnut, a victory was essential to help steady the Good Ship Arsenal. And a victory we got, but not one that was easy on the ticker. At one point the TV cameras focused on an old boy in his 90s who has been following Arsenal since the 1920s. I remember thinking that games like the one we were watching were likely to finish the poor old fellow off. Mind you, given some of the dire, trophy-less periods he has lived through I doubt whether he gets as hot under the collar about our current travails as some of the younger supporters (which in his case means everyone apart from Dandan). The big news before kick-off was that Arsenal’s saviour had returned: Jack Wilshere starting a first team game for the first time in 17 months. Bacary Sagna also returned after his own absence: hard on young Carl Jenkinson perhaps, but there’s no harm in the lad getting a break after deputising very well so far this season. Up front, Arsene Wenger took the revolutionary option of starting with an orthodox striker – Olivier Giroud – supported by Cazorla, with Podolski on the left and Ramsey taking the right-sided midfield role he performed so well against the champions a few weeks ago. Andre Santos continued at left back, prompting long queues at the crappers before kick-off. The opposition, managed by the unlikeable Mark Hughes, were bottom of the table despite having spent freely, assembling a squad littered with decent players. QPR are also a big, physical team, proving that “Hughes the Elbow” did not abandon his fondness for the darker footballing arts after hanging up his boots. As far as I could tell from watching on the box, the stadium atmosphere at kick off was supportive, but apprehensive. We all remember how nasty things got when the wheels came off at the start of last season, and you could tell the fans were nervous of the disharmony that might be waiting to rear its head if we were to suffer a third consecutive defeat. Rather than a blow-by-blow report, I want to offer an overview of the game. I felt we started well and immediately looked to have more positive intent than against Norwich last weekend. Cazorla was busy, finding space between the Rangers’ midfield and defence, Podolski was threatening at every opportunity and Wilshere’s quick feet and direct running were a sight for sore eyes (and I don’t know about you, but after Norwich and Schalke my eyes were as sore as Nasri’s splintered arse). Hopefully one effect of Wilshere’s presence this season will be to take some of the pressure off Cazorla. Opposition teams have quickly got wise to the dangers posed to them by Santi and he is usually closely marked now. The way we are playing at the moment you feel that if Santi is stopped, so are Arsenal. But with Wilshere showing the sort of touches, skill and vision he displayed yesterday it’s not going to be so easy for other teams to nullify us and the prospect is mouthwatering. To QPR’s credit they did not set out to Queens Park the bus (or at least not as much as most other teams we play at The Emirates). They had two up front and were prepared to try and get forward in a systematic way rather than just booting it up to Zamora. We could have gone ahead early on, when a flicked header from Ramsey looped just onto the crossbar rather than just beneath it. My recollection is that Sagna crossed the ball in that incident – if so it was just one of several good crosses Mr Reliable made on his return. Incidentally, Sagna showed no signs of rustiness, which is quite remarkable after such a long lay off. We had a few long range shots on target, a couple of which were spilled by Cesar in the QPR goal. None of the spillages fell to an Arsenal boot which, depending on your perspective, is either because we were unlucky or we did not get enough men in the box. As the first half wore on and we failed to create any gilt-edged opportunities, the level of apprehension seemed to grow. The stadium was pretty quiet (although I accept that the television coverage does not always give an accurate indication of sound levels) and the players looked tense. At half time it was hard to feel completely confident that we would come away with all three points and the second half continued in the same vein. The turning point was a piece of petulance by the visitors’ centre back Stephane Mbia. Fouled by Vermaelen out by the right touchline, the Cameroonian lashed out a boot and was rightly shown red. There were about 15 minutes to go and we had been gradually building up the pressure even before the sending off. But with QPR down to 10 we were really able to turn the screw. A succession of chances followed – the best of them falling to Santi Cazorla who blasted over from inside the penalty area when he should at least have hit the target. Cesar made some fine saves in the Rangers goal – the best of them from a deflected clearance off a QPR defender. We finally got our reward in the 83rd minute. Giroud – who had a really good game leading the line – was able to win a great header in the box despite being under pressure from two defenders. Cesar parried it, but the ball found Arteta in the six yard box. His header hit the crossbar, bounced back into the six yard box and finally squirted (via Ramsey) to Arteta again, who poked it home. There was an argument for offside which may be justified but would have been difficult to call in the melee that led to the goal. As we all anxiously willed the clock to tick faster, the team very nearly shot itself in the foot. Twice QPR found great positions to equalise. First Granero pulled a shot wide, then Mackie bundled through three challenges only to find Vito Mannone standing strong to make the block. Finally the whistle went and the collective sigh of relief must have been audible in West London. How to view this performance is all about context. If we were coming off the back of a string of good results, we would see it as a professional job: a game in which we were not quite in our best fluid form, but did enough to take all three points. But after the two recent defeats (and, more particularly, the paucity of chances created in those games), this will be viewed by many as another dodgy outing in which we were lucky to come away with a win. It’s worth noting, however, that we had 70% possession to QPR’s 30%, and we had 21 attempts on goal (11 on target) compared with QPR’s four (three on target). Those stats should provide some measure of reassurance and certainly give the lie to Mark Hughes’s ridiculous claim that Rangers controlled the game until the sending off. But a man clinging to his job by the skin of his elbows is liable to say anything. For me there were many pluses: that we ground out the result; that Jack is Back and looking every bit the player we remember him to be; that Bac is Back and in fine form; and that we have made the first step on the road to recovery. Walcott: looked as if he could threaten, without actually doing a great deal. Gervinho: had a couple of typical runs (ie, tricksy runs with no end product) before picking up an injury and being substituted himself. Arshavin: made the cross that led to the goal – a player who should, perhaps, be getting more pitch time. 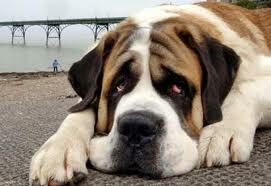 It is rare that Big Raddy struggles to raise enthusiasm for a post but this week has been just so disappointing. Two hard defeats, a dull AGM and another plucky MU victory, all horribly depressing. Apart from our neighbours scraping a draw with a team of chicken farmers and the losses of MC and the Chavs, it has been unremitting pain. But we Arsenal fans aren’t going to let a few disappointments mar our season are we? We are going to get back in the saddle and ride out to face the massing hordes of the enemy. And today we face one of football’s most craven villains. Not the team – everyone has a soft spot for QPR, but their manager, the odious frog -faced Mark Hughes. It is well documented that I have a problem with this miscreant; many detest SAF, others Pulis or Fat Sam, but for me Hughes is the arch villain – he is Lex Luther to Arsene’s Superman. Just look at his record. This fool has destroyed club after club, admittedly he doesn’t cause the economic ruin that *Arry does, No, what Hughes does is more insidious. He teaches players to perform as he did, with touches of panache which disguise a petty violence – he is the ankle tapper, the achilles tendon breaker as opposed to the leg breaking of Allardyce. At least Allardyce stands up for his crimes to football, Sparky just blames others. Unfortunately, Rangers have started to improve. The tens of millions spent on new players may not have been wasted as the team starts to gel. I watched their performance last weekend in the draw with Everton and QPR looked good – they could and should have won. Decent ball players, the creativity of Taraabt, some pace and stout defenders…. you know their assets as well as I do. But….. This game will revolve entirely around Arsenal’s performance. My prayer is that we score early and stop the ill-humour which will inevitably grow should the team struggle. Get the fans onboard, start playing the football we know we can and get back to winning ways. The signs are that Wilshere will get some pitch-time which is a huge fillip to the fans. So much expectation is resting upon his very young shoulders, but should he be the player we all think he is, then the future is rosy. Much depends upon who is fit. What is clear is that somehow we have to create chances for the forwards. In the last two game we haven’t had a sniff at goal. We don’t have the type of strikers who can create their own chances, ours are finishers. The Gervinho in the middle ploy worked for a couple of games but (and I hesitate to say this) he is not intelligent enough to play the role being asked of him – he is no Thierry. We have an expensive CF, play him and let him show what he can do, let Giroud play 90 minutes. Podolski has been subbed in almost every game which makes me question his fitness, so why not give him a 2 week rest? As to Santos. I feel he has been vilified in the same way that Ramsey, Song, Eboue etc etc have been. Santos is a good player working his way back into the team after a long lay-off through injury, that said, his lack of match fitness is costing us goals, both Norwich and Schalke’s first were as a direct result of Santos not keeping the defensive line; if Gibbs is fit he must start. Today’s man is just a taster for one of Britain’s great heroes; David Livingstone was an extraordinary man who needs more time than I have today. 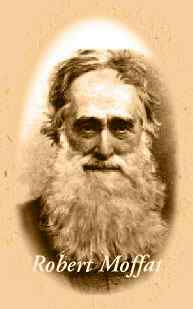 Instead I will leave you with a picture of his father-in-law, a missionary who established a South African church in 1820. I will start with Wenger’s words at the end of the AGM. “There are five trophies,” the Arsenal manager told the club’s shareholders. Many will argue that two abysmal back to back results do not have an impact on the players or the fans. I strongly disagree and when we look at our ever growing list of injuries how many of these players would actually improve the team as a unit. Walcott who has come in for a lot of criticism is a bit part player, yet I read “if only he had played against Schalke” Rosicky hasn’t kicked a ball since early June, Fabianski has a mystery injury, Podolski is carrying an injury yet played and was ineffectual.Gibbs is a big miss but his history of injuries doesn’t make pleasant reading and the same applies to Diaby, and regardless of what has been said about Santos, he is not the answer to our long tradition of left sided wing backs in fact as a defender he is useless. Sagna is a miss but young Jenkinson has improved game by game and to sub him on Wednesday was madness. Szczesny is still two to three weeks away from a return (which could mean anything) so Vito remains in goal and one can visibly see he is as nervous as hell. Many think Jack will suddenly be our saviour after nearly missing 16 months of football. It just doesn’t work like that. The Ox is a gifted young player but again Wenger will play him in a cameo role, as he does the once gifted Arshavin. Recent buys such as Park, Squillacci and Chamakh have been a total disaster and one has to blame Wenger. Now one reads that Bould and Wenger are not agreeing on tactics, which may or may not be true, but I saw enough on Wednesday that Bould doesn’t know how to make the right tactical subsitutions or at the right time. Schalke are no Barcelona, just a fairly good Bundesliga side. Why buy Giroud and either give him less than half a game or drop him altogether after so few matches when he is the nearest thing to a striker that we currently have? I will not slate the new figure to be continuously berated Ramsey, as was Denilson, as I feel that if our squad had sufficient quality he would be loaned out to get some confidence back. Next we play QPR who though bottom of the league will think this couldn’t be a better time to play us. Then it gets better United and Schalke both away ( I am dismissing the Reading game even if some think it will give the returning players some game time). There is absolutely no confidence or fluidity in this squad at present and as I mentioned on Wednesday it beggar’s belief when Vermaelen and Santos were at times our most advanced players. I have supported the club long enough but to me the club is in complete shambles from the boardroom down. The signs were there last season and who will be the next of our diminishing players to be sold come next Summer. I really have had enough of this financial stability comes first and foremost and that there is money available now as there has been for a while. If the players give 100% and lose so be it, but I see that it is going to take quite a while to get the attractive winning Arsenal back on it’s feet and by then fourth will be out of sight. I am sure most will disagree but I would have rather be told when we moved that finances are tight and that expectations by the fans should go on hold rather than be nearly totally reliant that the FPP will benefit us more than most other clubs. I can’t watch this rubbish anymore with such a passion for a club I once loved. Looks like I was wrong again, it seems my early predictions that it would be Arsenal and Man City who vie for the EPL are way off the mark. Embarrassing as that lofty prediction now seems I don’t regret it. As a season ticket holder one of the things that keeps me paying the annual expense is a genuine belief that the good guys could bring the title back to THOF and this preseason was no exception. I calculated that with the purchases of Cazorla, Podolski, Giroud and the further emergence of The Ox we would have what it takes and so it seemed. For a few weeks the heady smell of silverware polish was in the air; the Liverpool game sent my head spinning but that was short lived as the cold light of day has dawned and the reality of exactly what our team consists of has now come into sharp focus. It is quite simple, our attack is not potent enough to win the League, it doesn’t function as a unit and it doesn’t have the wherewithal to change. Theo on the right might help, well let’s face it; things up front can’t get much worse. Unlike the Norwich game, which Wenger claims the team did not take seriously enough, I thought the team selection for Shalke showed exactly how seriously he was taking the game. Ramsey on the right was the key to this for me, the Welshman doesn’t offer much by way of defence but he does offer some, and it was that ability that enabled him to drop back and try to help out against the waves of German attacks. All went reasonably well in the first half I thought, we were in the game, the BFG was holding things together at the back and there was always the chance that Gervinho might get lucky. But luck is all it was ever going to be; he does not have the talent to be team player and by that I mean he doesn’t have the skill to be able to bring other players into the game; he is so erratic no one knows what he is going to do next, I am not sure he knows himself. A large part of the crowd has turned against him, there were cheers when he went off, not all, but the number is growing and the dissenters are becoming more vocal. The second half still offered hope even if it was becoming clear to the most blinkered of supporters which was the better team on the pitch. The defence held well and that includes Santos who was up against a very skilful Farfan. Did Shalke score due to his error? No and neither did Norwich, the Brazilian is getting himself back up to match speed and while he is doing so he retains the support of this gooner who can remember how exciting he was before his injury last season. Shalke finally scored, if the blame has to be pointed at anyone I suppose Vermaelen should catch it; he seemed to nod off for a moment enabling the Germans to get through. Wenger sent on Gnabry and Arshavin but it was too little too late (pun intended) and for all those who might accidentally rush to elevate our own young German to saviour status, I would point out that it was he who was caught in possession that led to their second goal.